You can create a backup of your web space using FTP. There are several clients you can use to connect to FTP. We recommend a program called Filezilla. Open Filezilla and enter the login details at the top of the screen. It will say Directory listing succesful, when the connection is established. To the left, navigate to the folder on your computer where you want to save your backup. To the right, select all files and folders and drag them to the folder you just selected to start the download. Wait until all files are downloaded and make sure there are no failed transfers. Your backup is now saved on your computer. Note: If your website is made with a CMS like Wordpress, you also need to make a backup of your database. How do I make a backup of my database? 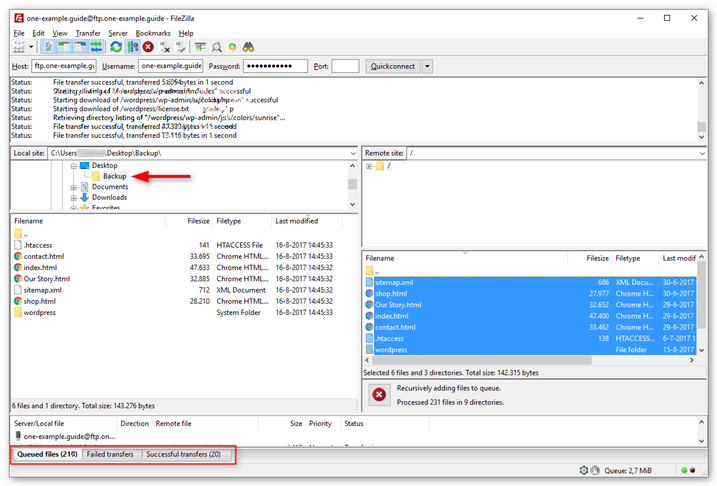 How do I log on using SFTP? How do I log on using FTP? 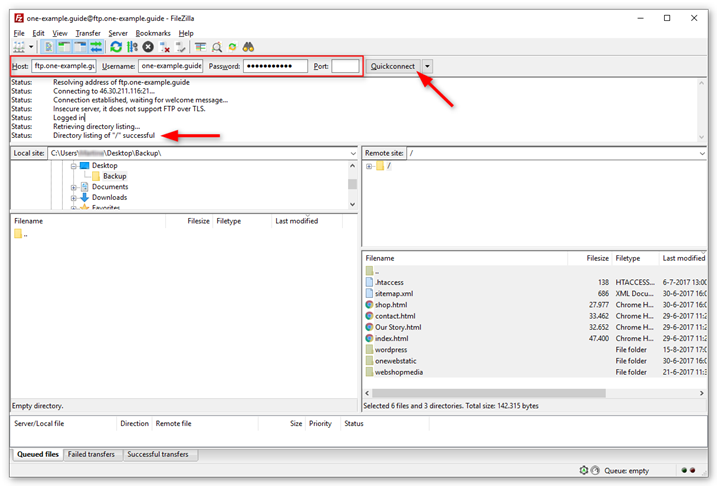 How do I connect to an SFTP server with FileZilla? How do I activate SFTP for my web space? How do I connect to an SFTP server with Cyberduck? Where should I place my files? Where can I obtain a FTP client?